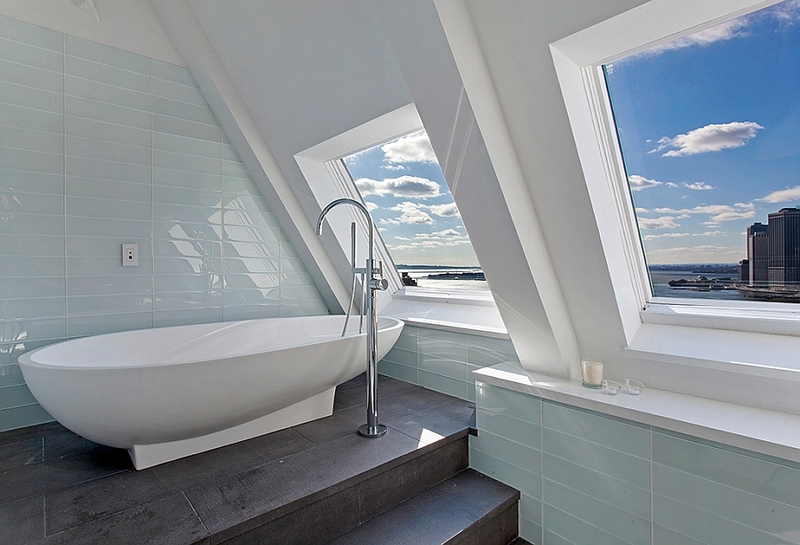 Renovating an old, dreary home into a beautiful, modern residence can be a demanding task at the best of times. 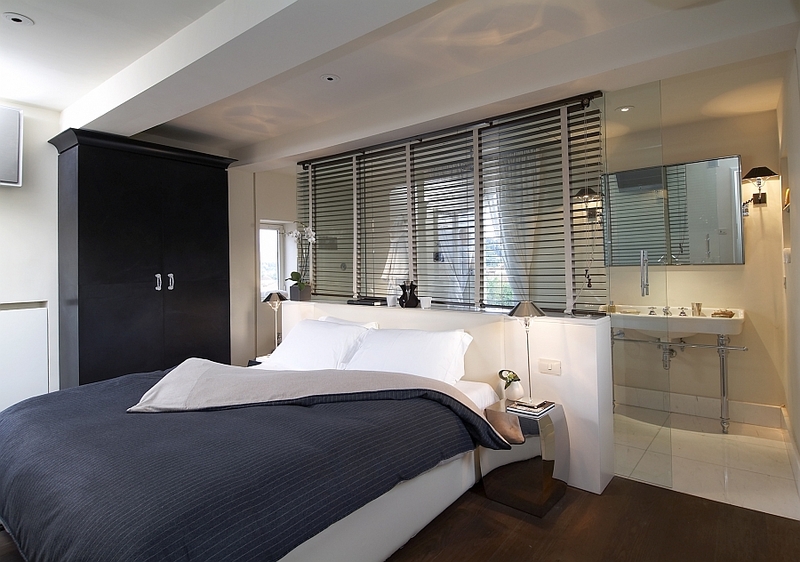 In fact, many of us find a small kitchen renovation or a bedroom makeover to be a task too cumbersome to undertake and therefore put if off infinitely! 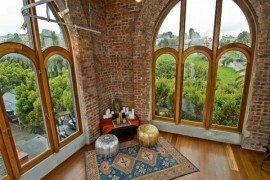 Imagine then the creativity and the diligence it takes to transform old structures that were never intended to be homes into sparkling, contemporary houses. 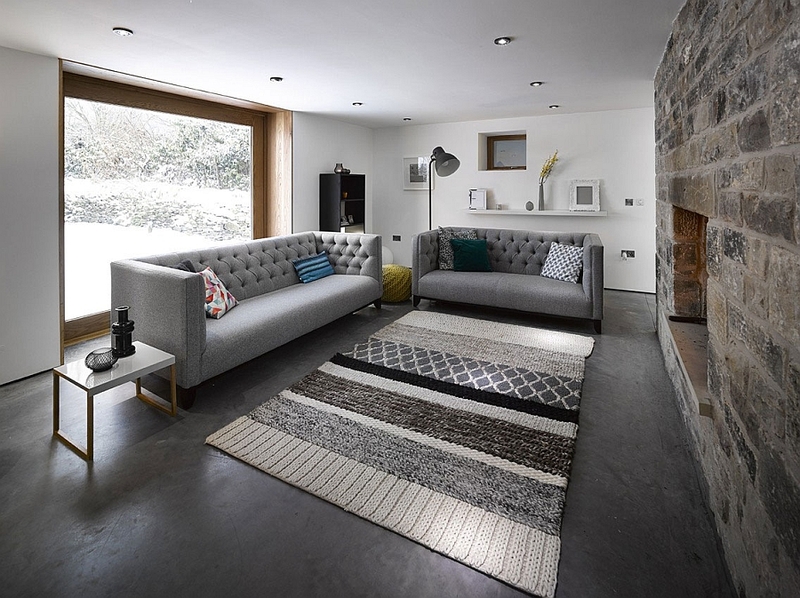 Today we have 10 such amazing renovation projects that prove pretty much anything is possible with a touch of ingenuity and plenty of effort. 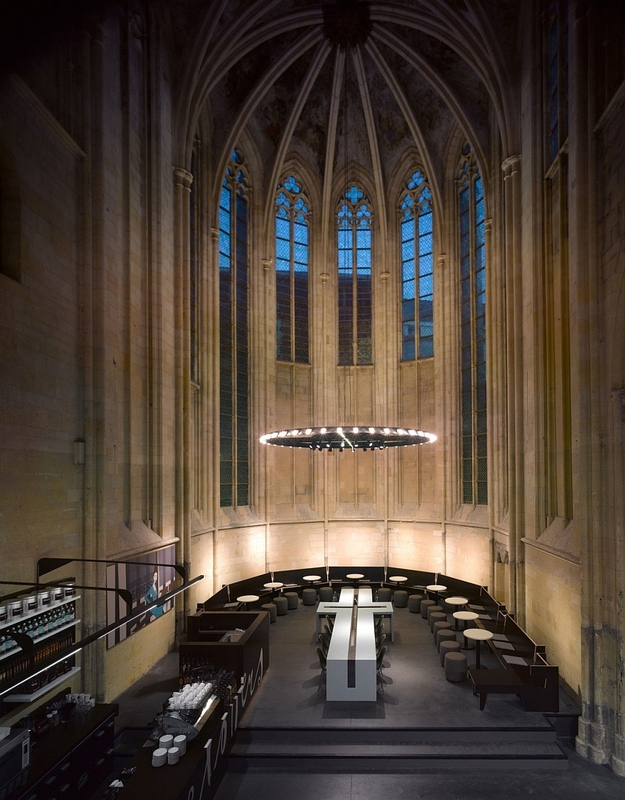 From old churches that were reinvigorated to house trendy bookstores to towers from the Renaissance period that hold chic, modern homes, here is a collection of the most audacious renovations on the planet. Enjoy! 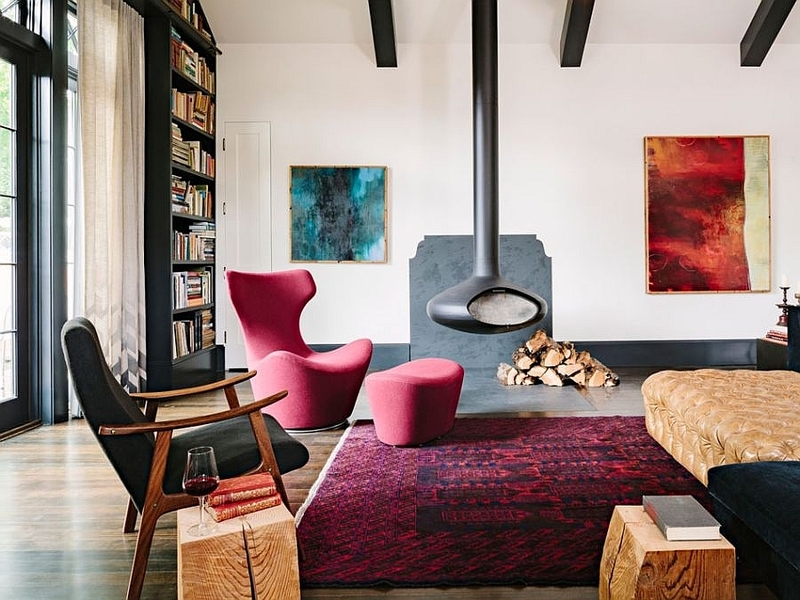 Hotelier Andrea Falkner-Campi wanted a unique home that captured the historic past of his little Italian hometown with chic, contemporary style. 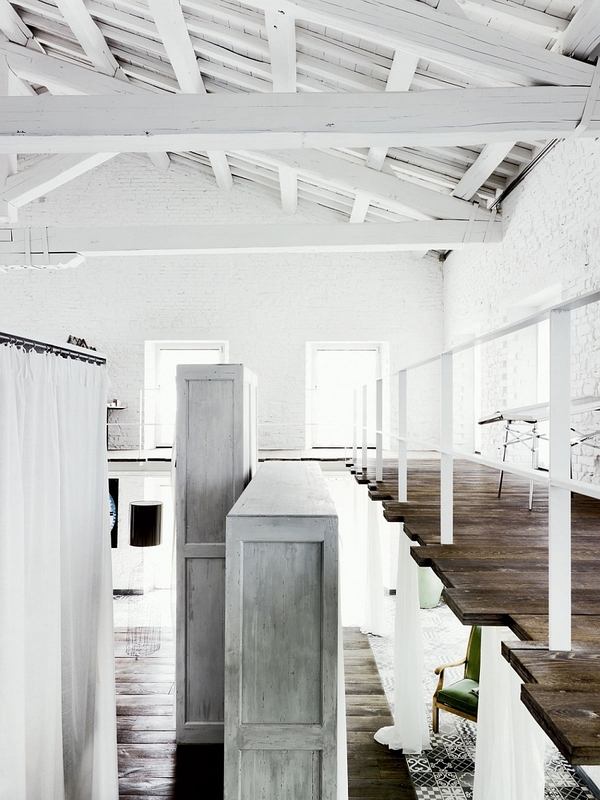 This was accomplished by transforming a 200-year-old factory in Spello, east central Umbria, Italy into a trendy home that has an inimitable style of its own. 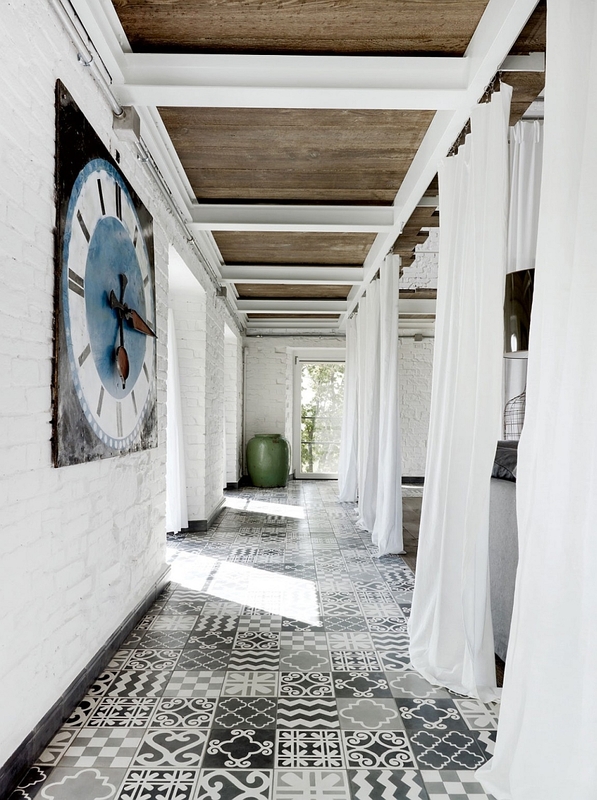 The interiors are largely clad in white with a wide range of patterns and textures being used. 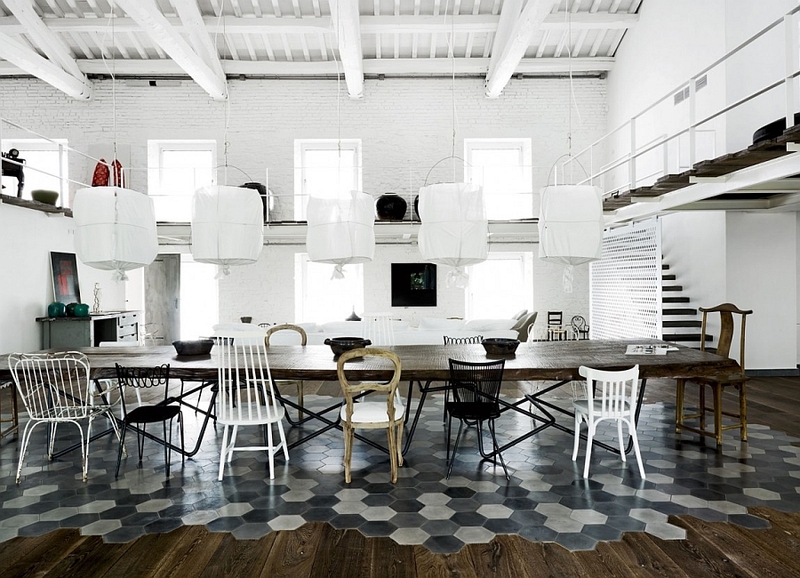 Paola Navone turned towards refined industrial style and exclusive decor to get the task done. 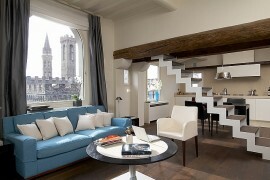 Finding that perfect balance between the past and the present, this renovation indeed leaves you speechless! 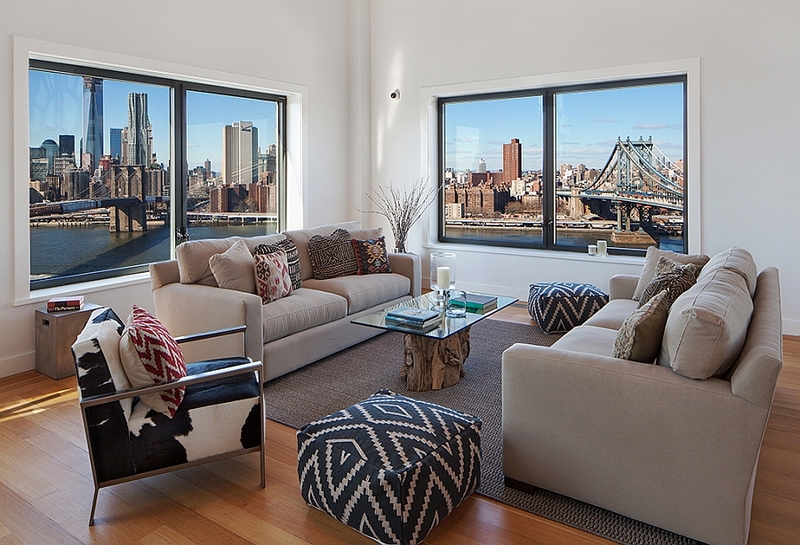 We love this Brooklyn penthouse for the sheer drama and the stunning views that it offers! 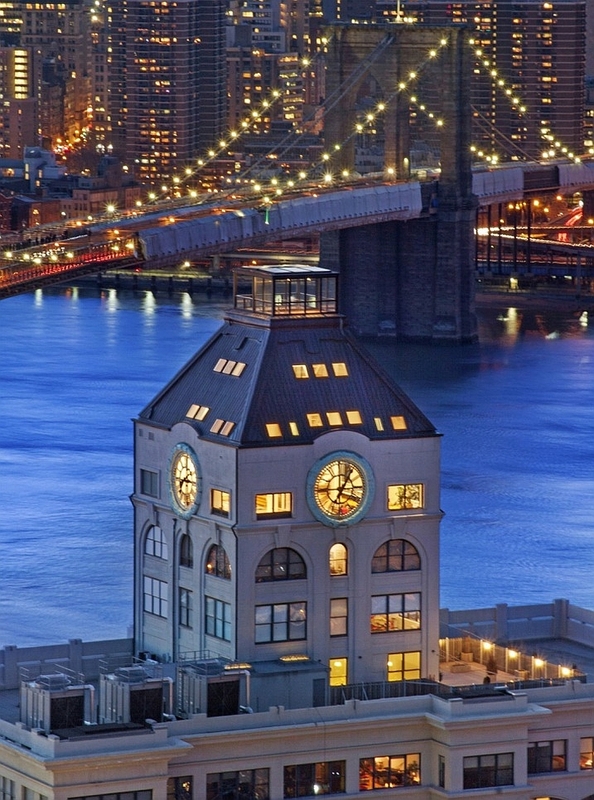 The view of the Brooklyn Bridge and the glittering New York City skyline from the living room is something that every homeowner dreams about, and the Clock Tower triplex penthouse delivers it in grand style. 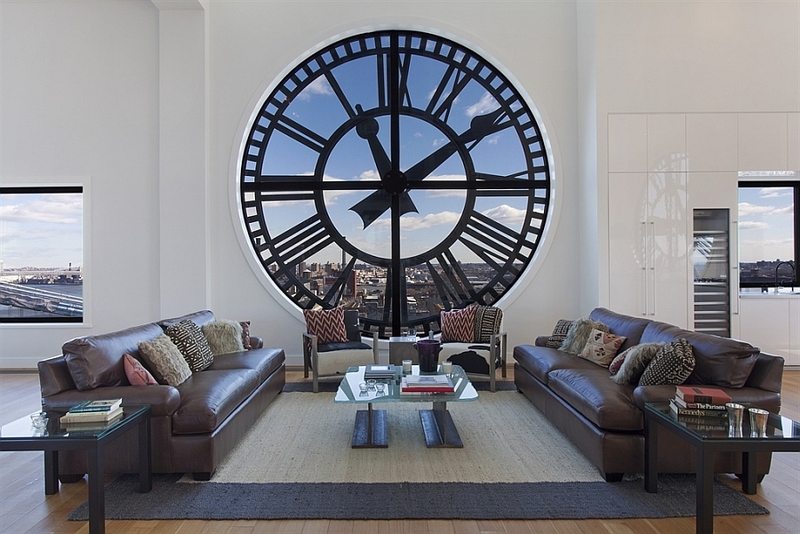 With giant ticking clocks becoming the backdrop in the living room, ergonomic modern kitchen, dining area, plush bedrooms and a spa-like bath, this $18 million home has it all. 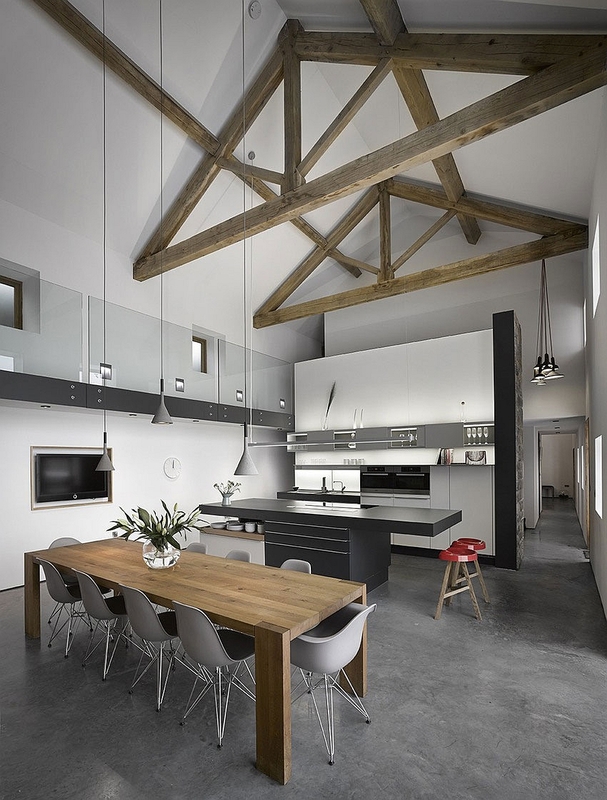 Adaptive reuse is an architectural and design concept that is quickly gaining ground globally, and many of the rustic, old barns are being converted into wonderful modern homes. 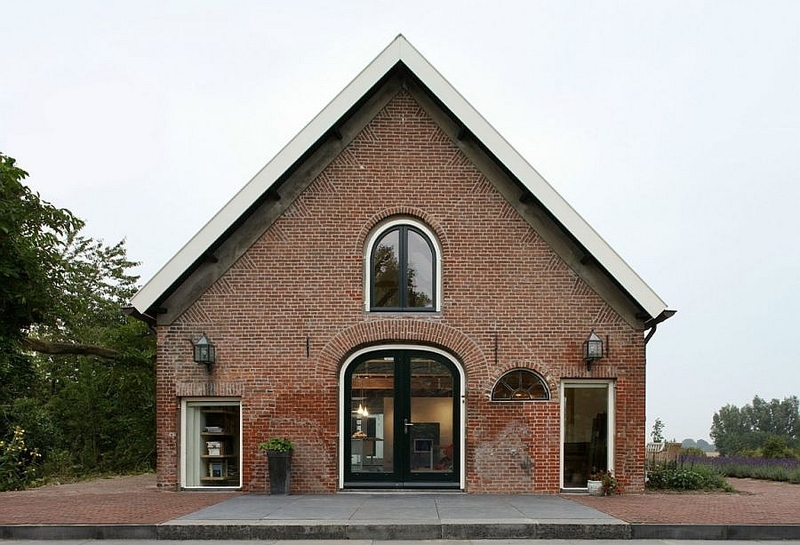 Located in the quiet little Dutch town of Geldermalsen, House G fits this billing perfectly. 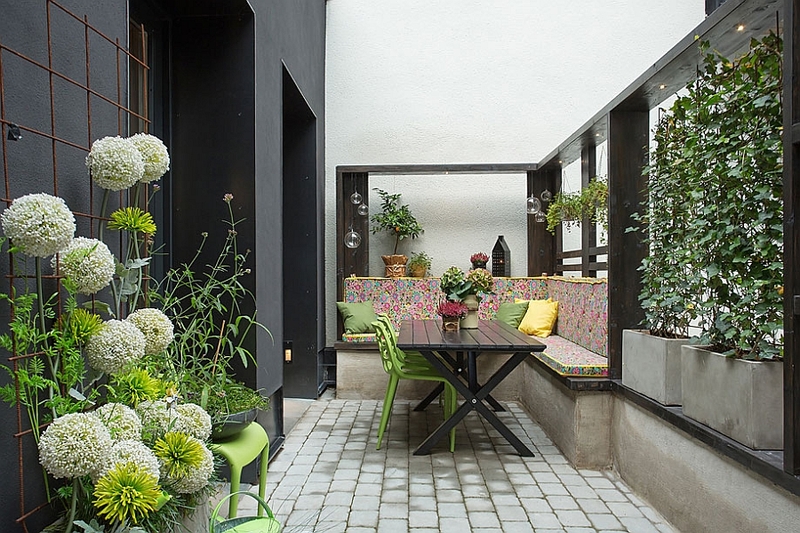 Renovated into a bright, cheerful modern residence by Maxwan Architects + Urbanists, the lower level of the home makes an intelligent use of space. 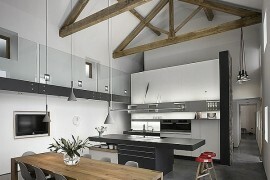 With a dining table, kitchen island and other decor additions on casters, the interior has a dynamic appeal. 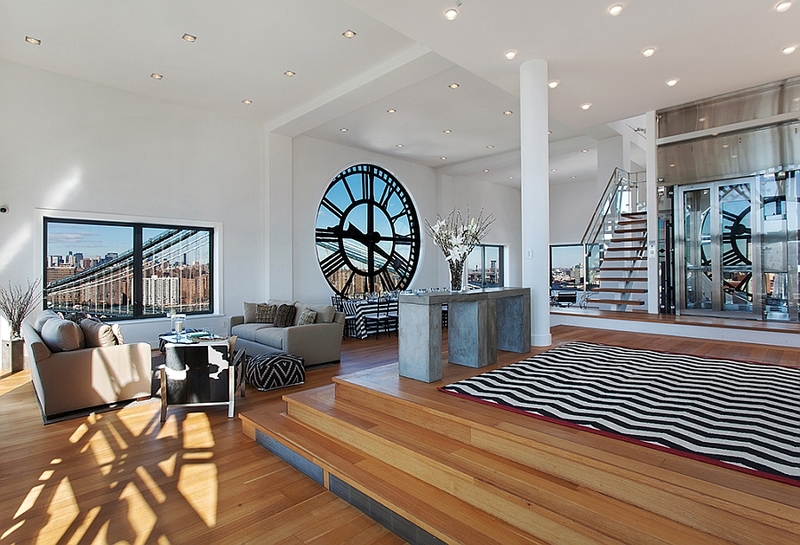 Large windows and skylights add to this ambiance by ushering in ample natural light. 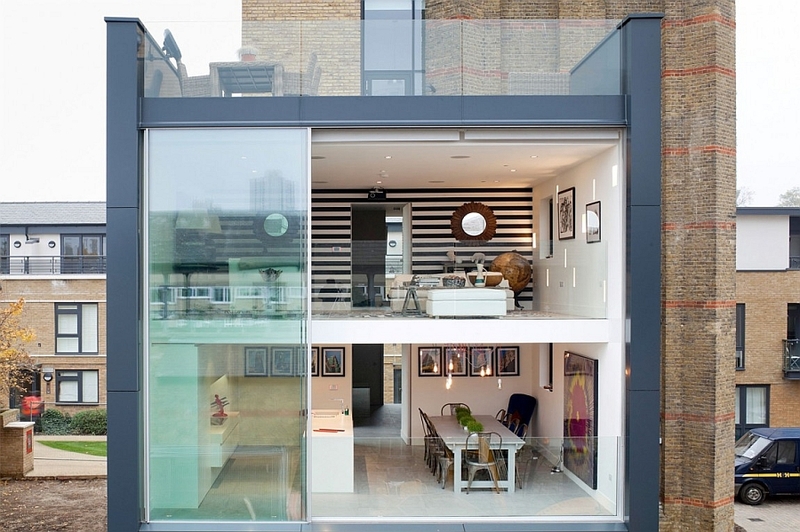 It’s not just old barns and factories that can be revamped into creative homes. 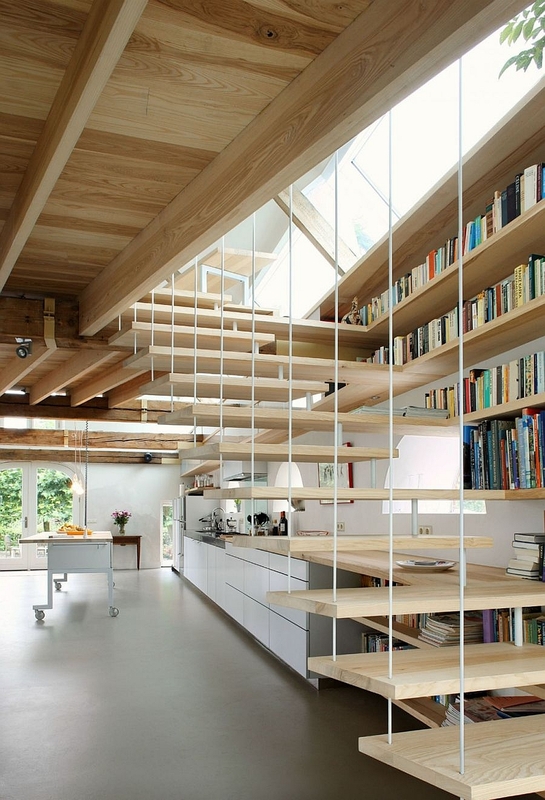 Even unused public libraries can be renovated into stunning homes. 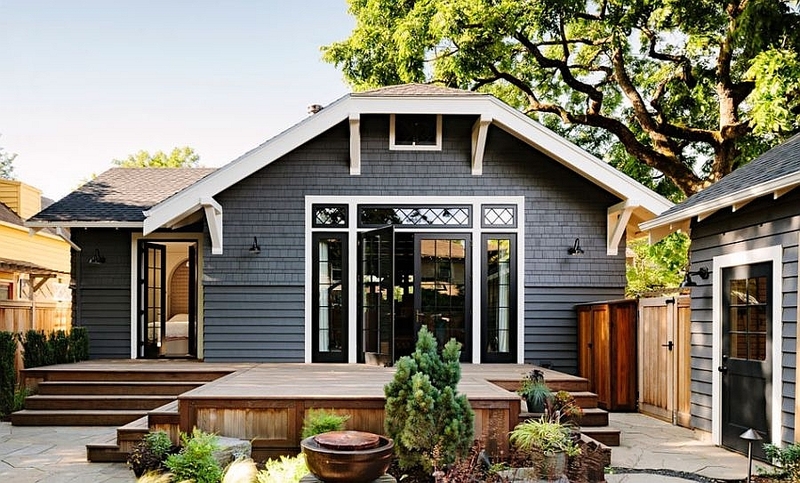 Located in Sellwood, Portland, this elegant home was once a library that was remodeled and revamped to meet the needs of a modern, urban family. High ceilings, large shelves that reach all the way to the top and a warm color palette with jewel-toned decor were used by Jessica Helgerson Interiors Design to get the job done. 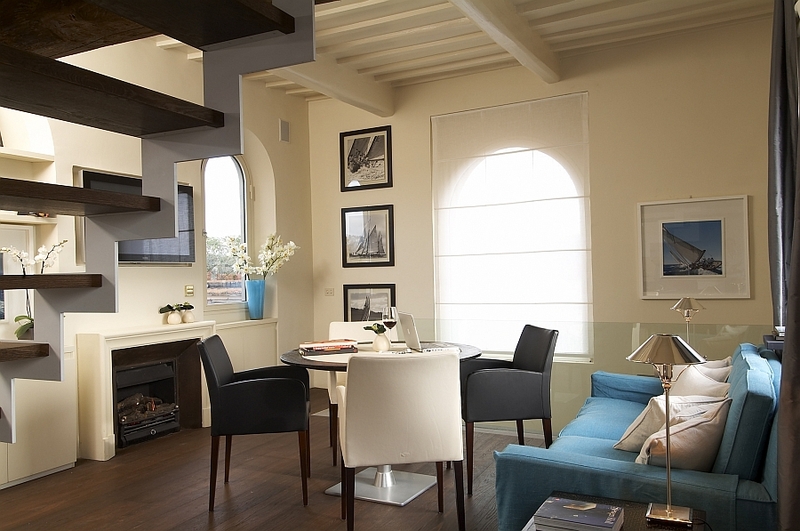 As a tribute to the residence’s past, ladders are added to each room, giving the home an interesting appeal. 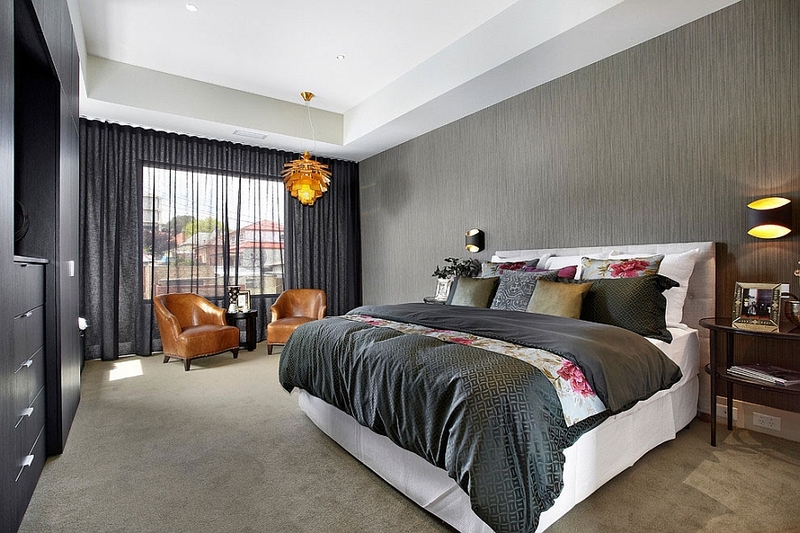 Australia is quickly turning into a hotbed for some of the most amazing renovations projects on the planet. But most of these are Victorian or Edwardian homes that need a modern facelift. 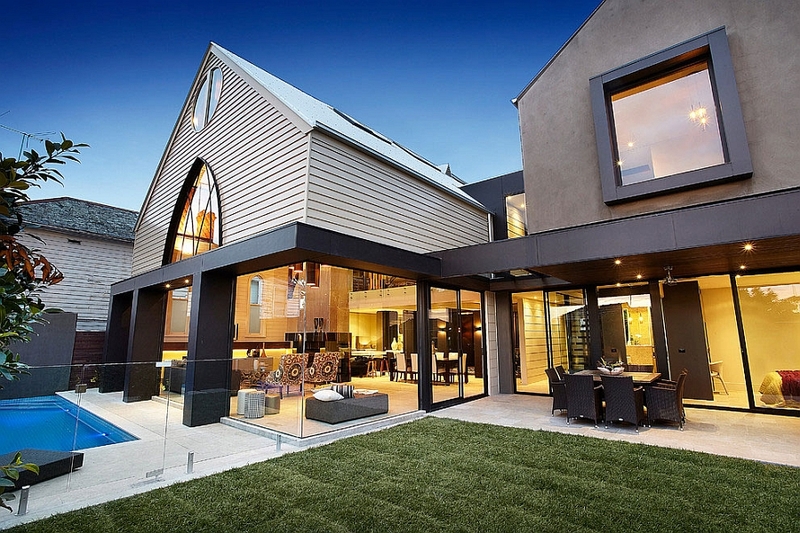 Not this one, though, as Bagnato Architects turned an 1892 Anglican church into a stunning contemporary home. 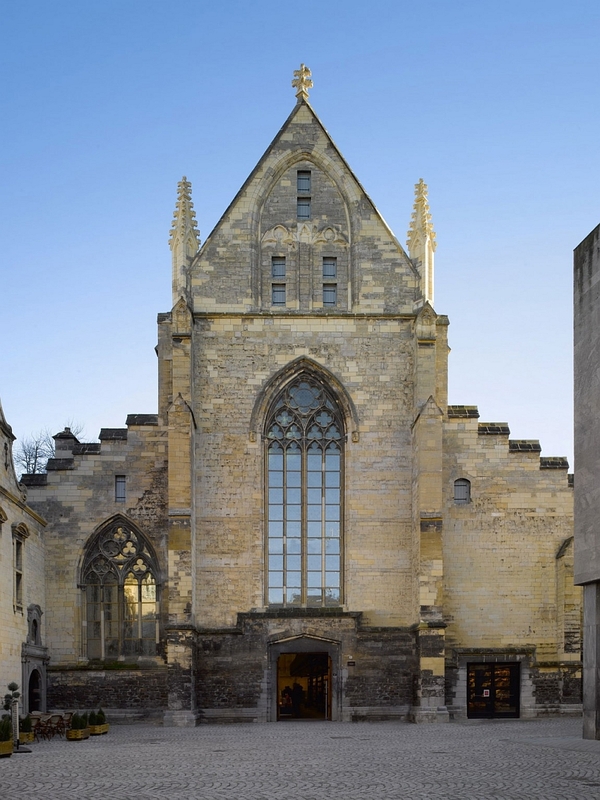 In fact, if you take away the façade and the sweeping arches, you would never imagine that this was once a church. 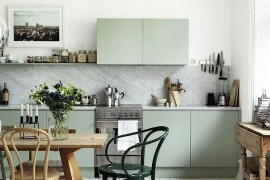 Yet it is these features that give the home its unmistakable charm. Wood, marble and limestone are used extensively indoors, as a warm color scheme balances the airy appeal of sweeping, tall spaces. Brilliant lighting, a refreshing pool and an on outdoor lounge cap off this amazing transformation. 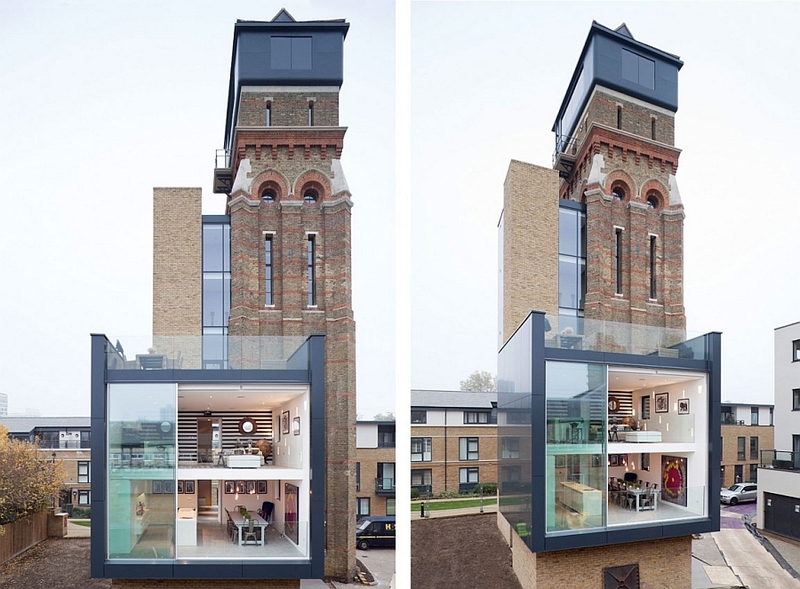 It seems like structures from the 1800s have plenty of takers, as this old Water Tower in Central London originally built in 1877 now plays host to a stunning contemporary home that offers some amazing views of this cosmopolitan city. 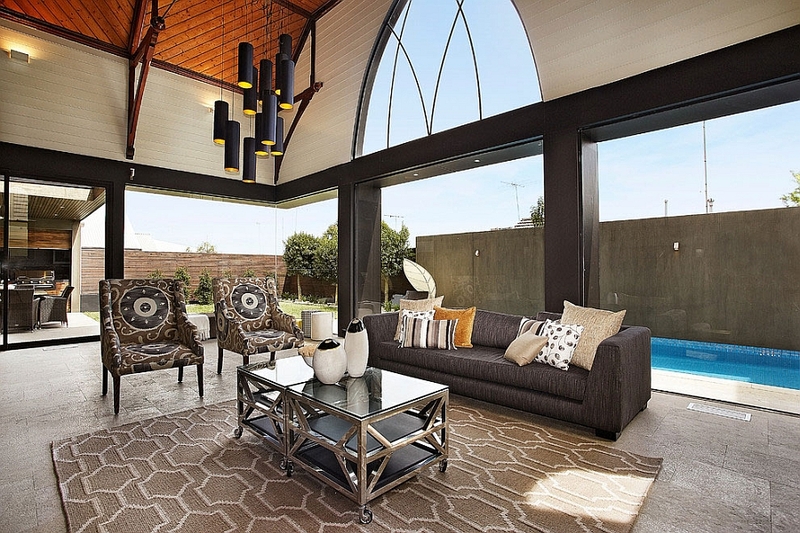 Leigh Osbourne and Graham Voce added a sleek and audacious ‘glass box’ to the original structure that houses the living area on the lower level and four spacious bedrooms on the upper level. 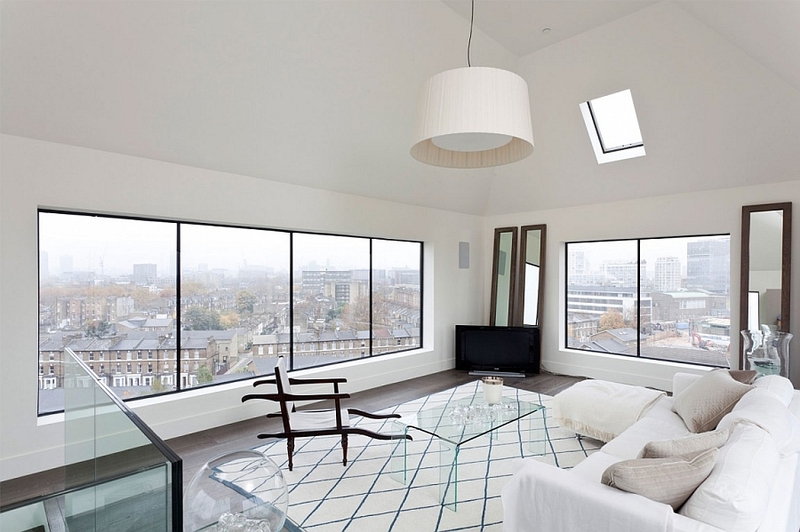 The interior is kept simple and minimal with white dominating the landscape. 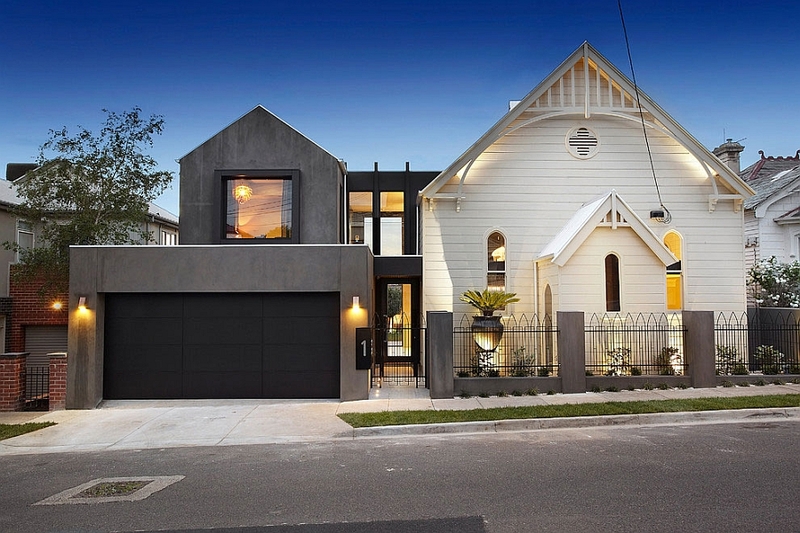 Not everyone is happy with changing a stunning old church into a trendy, modern home. 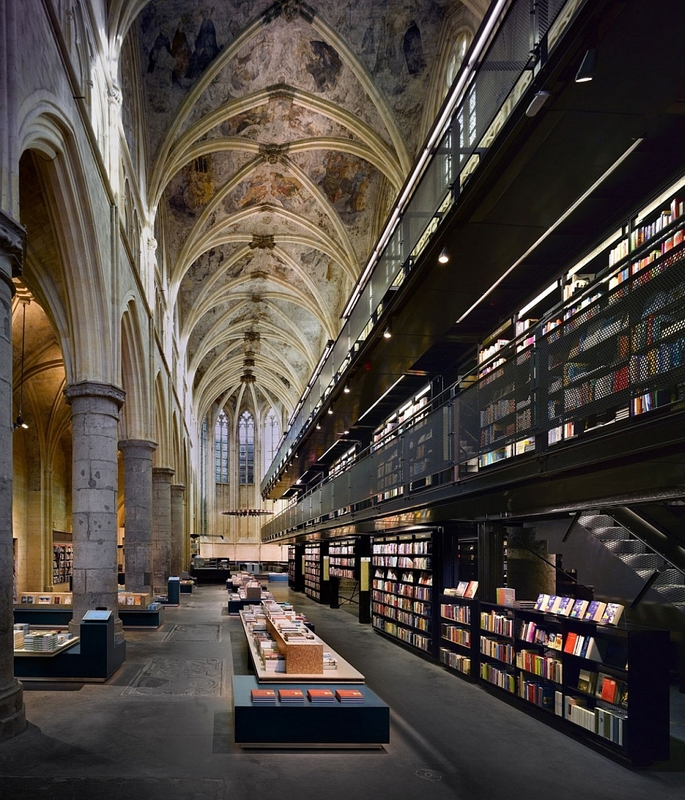 Some architects take this a step further by using the expansive and inspiring interiors of an old church as the background for an enthralling bookstore. 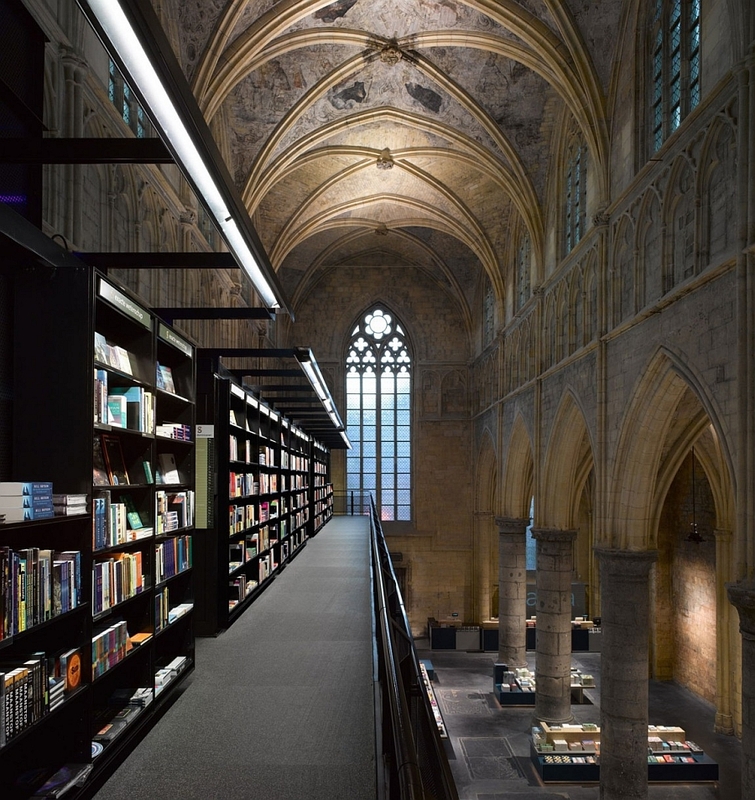 The Selexyz Dominicanen Bookstore in Maastricht, Netherlands was conjured up and created by Merkx+Girod Architecten as a majestic Gothic church found a new lease on life. 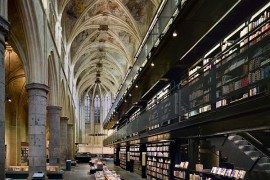 The high walls of the church are obviously perfect for the 25,000 books in the bookstore and the spectacular interiors can get intimidating at times. 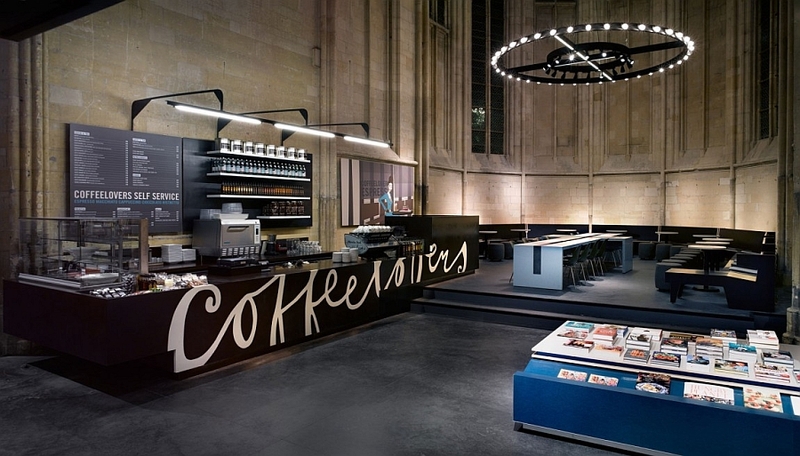 A crucifix-shaped table in the café and awesome lighting complete this splendid makeover. 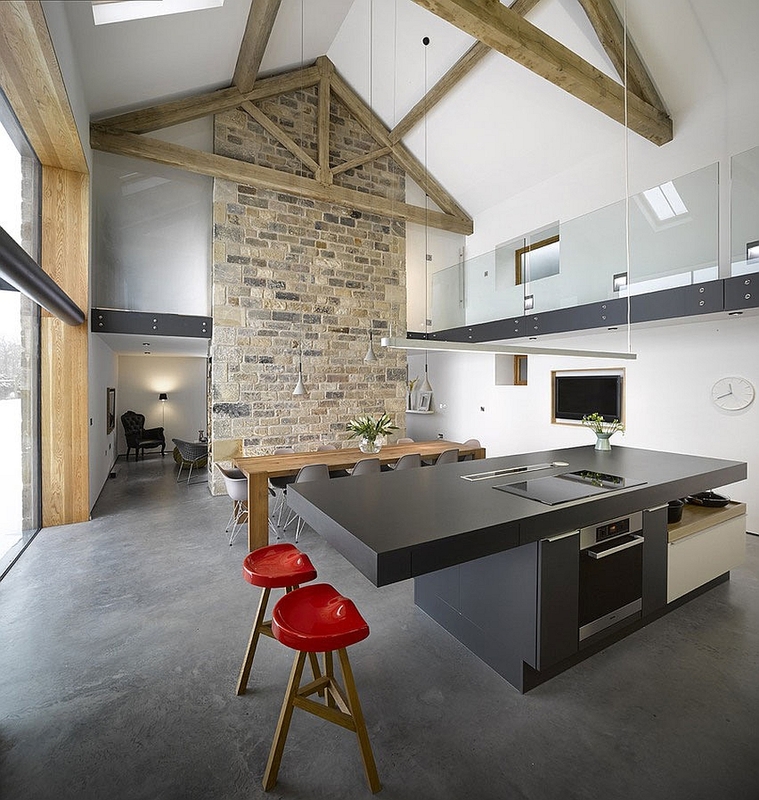 Creating a perfect blend of unadulterated old world charm and posh, contemporary style is the Cat Hill Barn in Yorkshire. 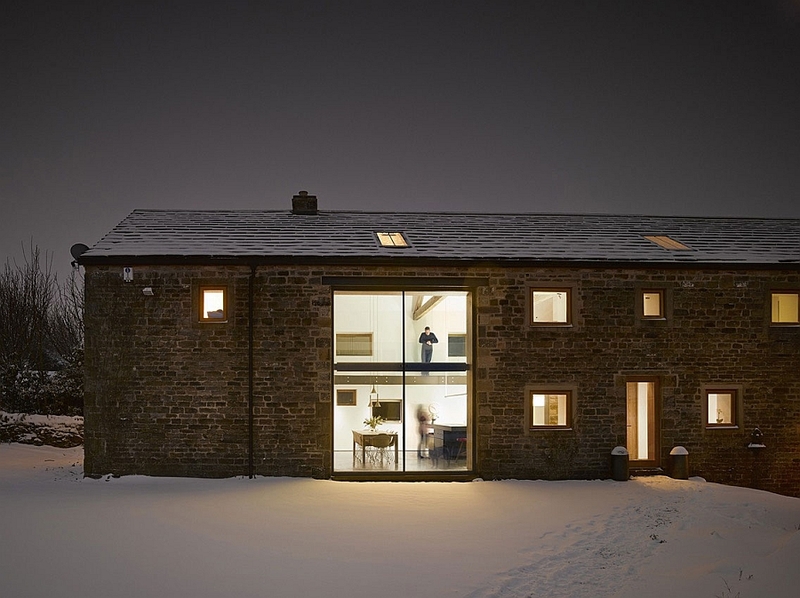 This 16th-Century English barn has an exterior that is left untouched, while the sweeping spaces indoors are fragmented into smaller, specific areas with the use of stone walls, a fireplace and lighting. 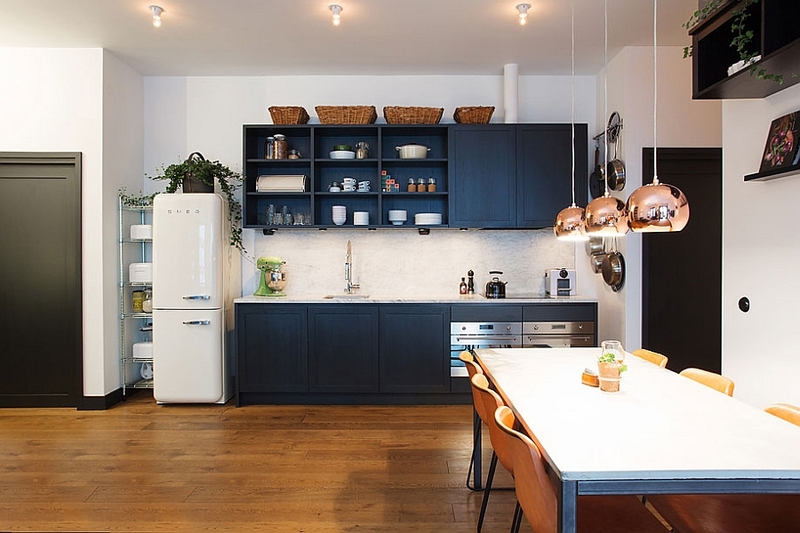 A state-of-the-art kitchen in black seems to blend effortlessly with the more rustic ambiance of the home, and the private quarters are housed on the top level. 9. Pulling A Home Out Of A Hat Factory! 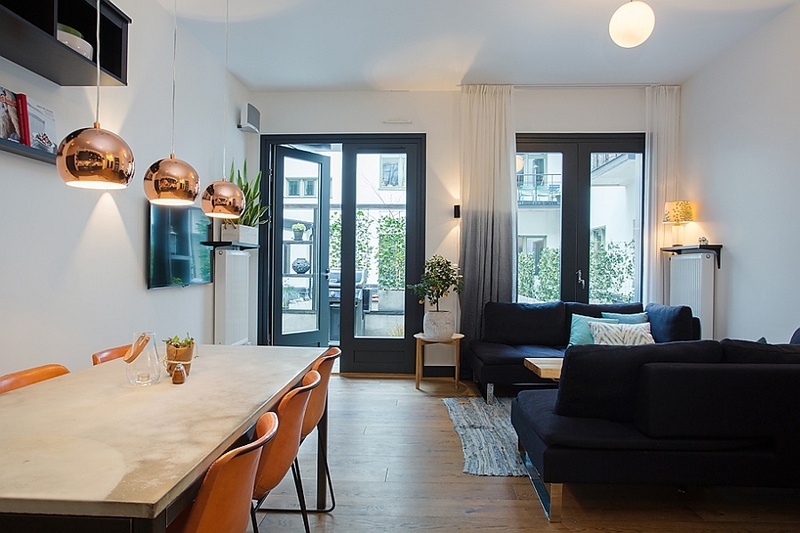 This beautiful apartment spread across 925 square feet is located on the ground floor of a building that was once the famous Straw Hat Factory in Stockholm. 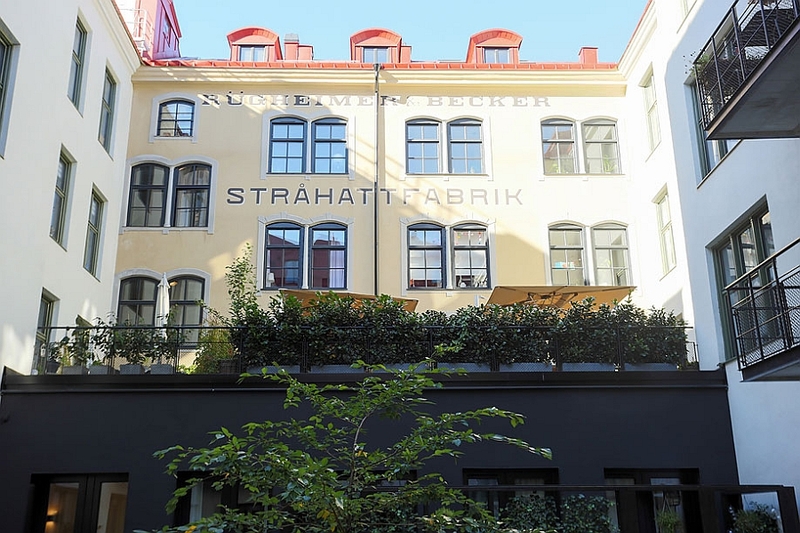 Originally built in 1887, the structure has now been turned into a housing complex with 39 new apartments spread across various levels by Oscar Properties. 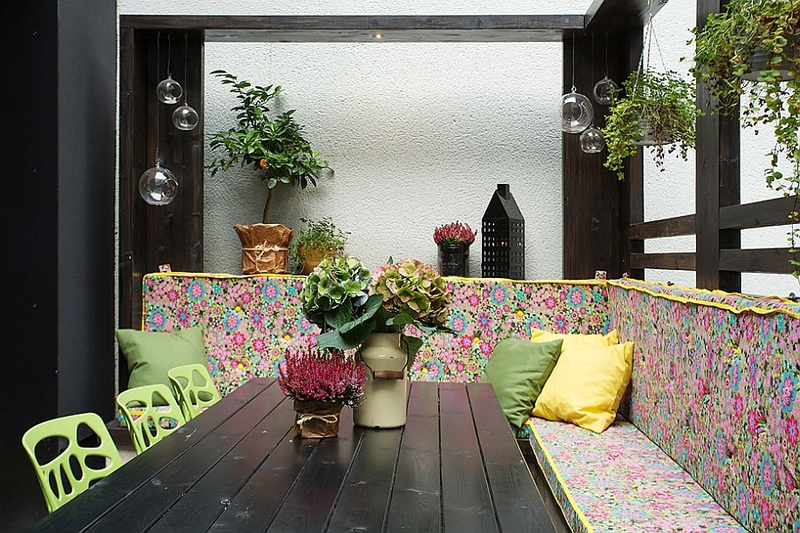 This particular home has a private patio of its own that is filled with plenty of greenery, while the interior sports cool retro charm combined with unassuming Scandinavian style. 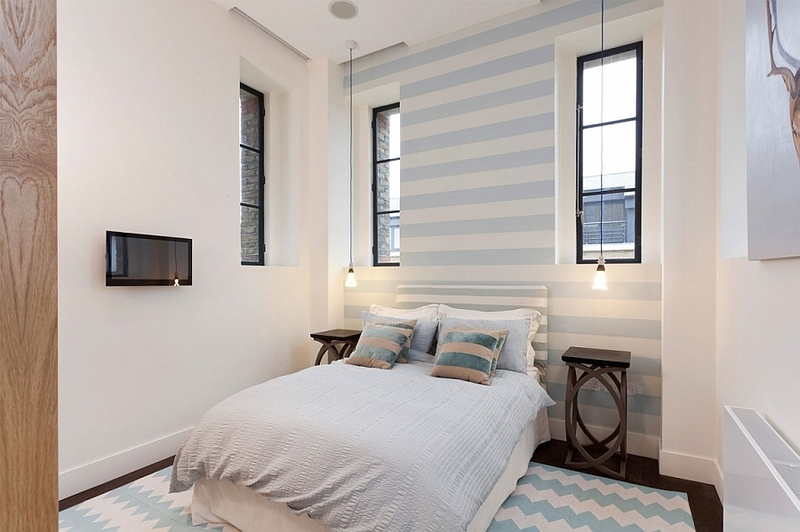 Pops of red, navy blue and green are added to infuse some cheerful elegance in every room. The last stop on our renovation ride is the beautiful Tower Suite in Florence, Italy that turns a Renaissance watchtower into a luxurious modern apartment. 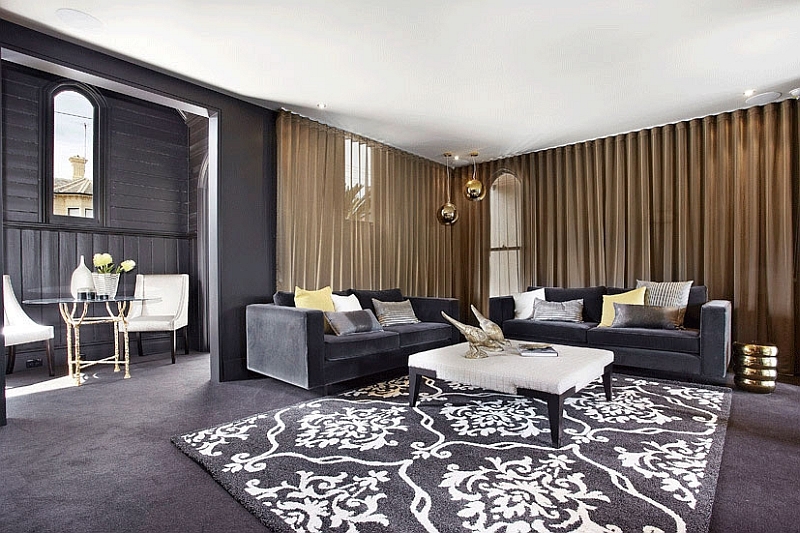 While the apartment is spread across just 65 square meters, it makes up in style what it lacks in size! 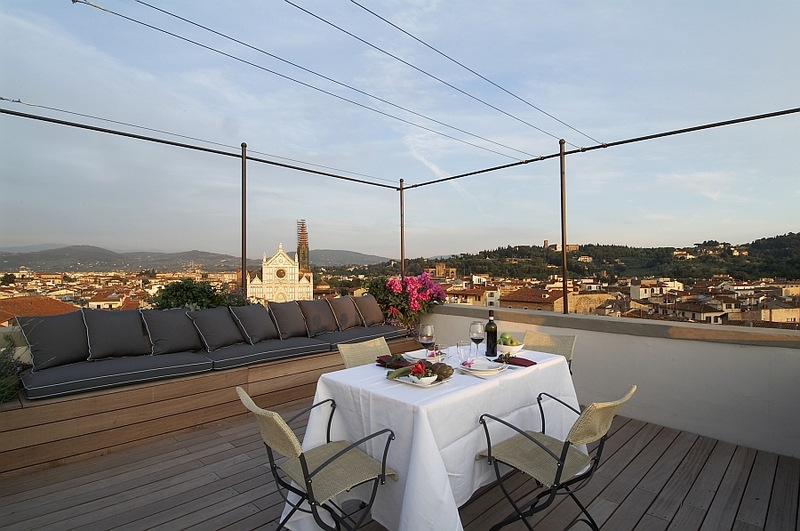 Offering a bird’s-eye view of the historic neighborhood of Florence, the exterior of the tower is left unaltered, while smart space-saving solutions in each room use the available foot space to the hilt. 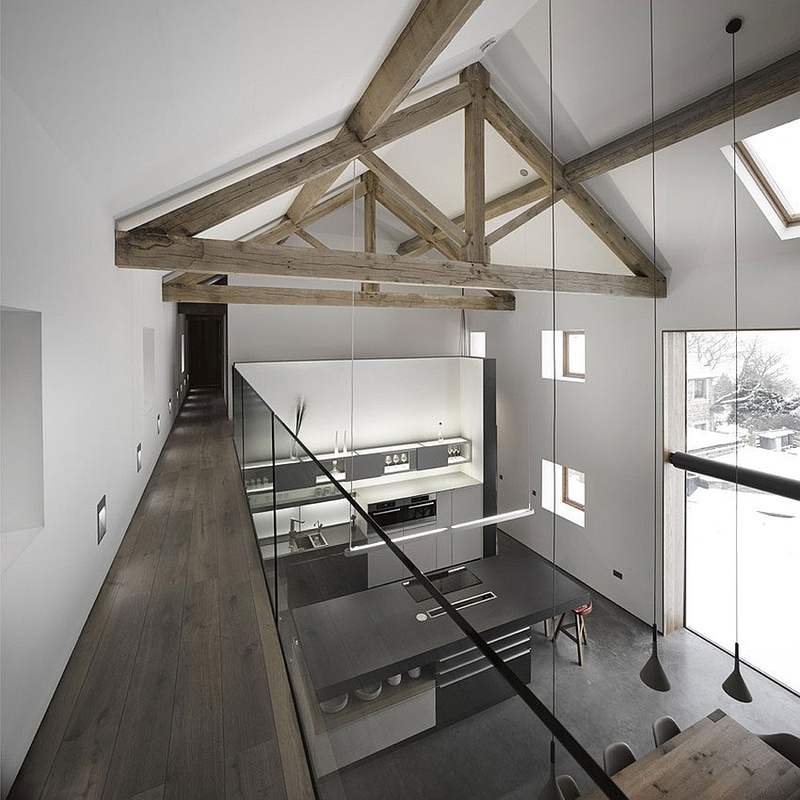 Dark wooden floors, exposed beams and smart decor create a relaxing atmosphere indoors. 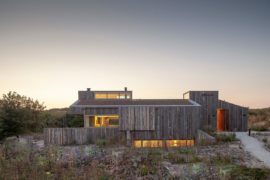 Designed by by Luigi Fragola Architects, it captures the spirit of Tuscany to perfection!